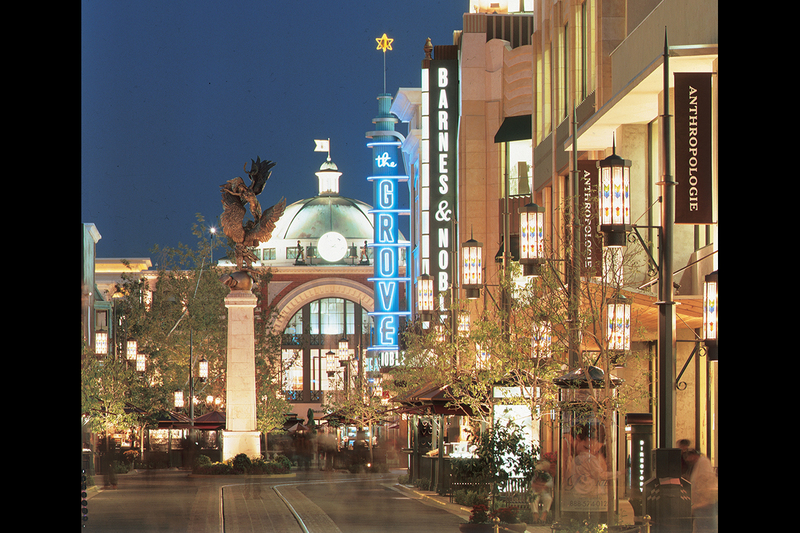 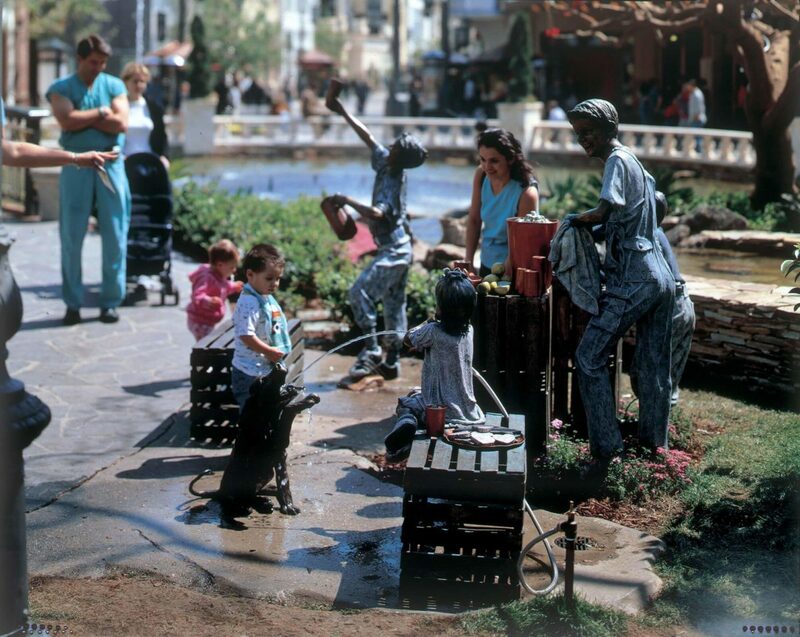 Set on 20 acres adjacent to the historic Farmers Market in Los Angeles, the Grove is a Southern California landmark offering a lush, park-like setting; a vibrant pedestrian streetscape and internal transit system using an electric trolley. 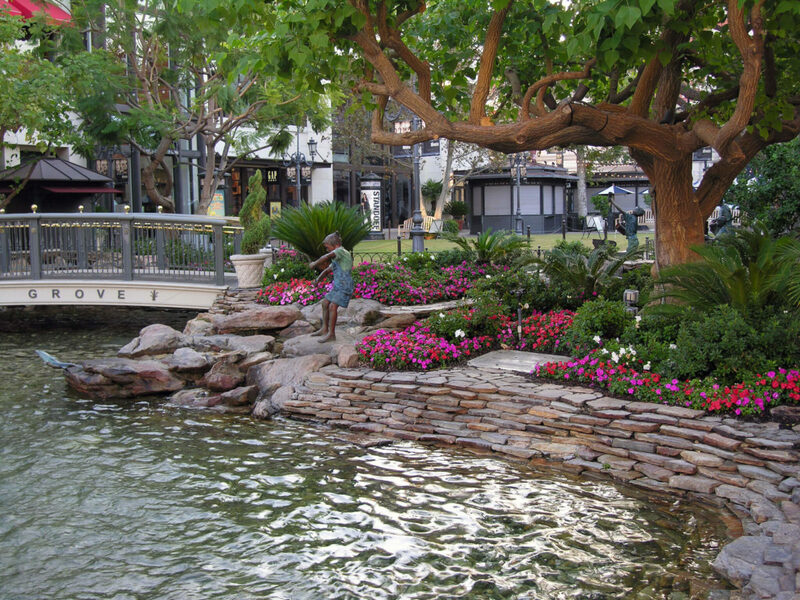 The large, center fountain features a dancing, water-choreographed show and a nearby grassy area perfect for shows, live concerts and community events. 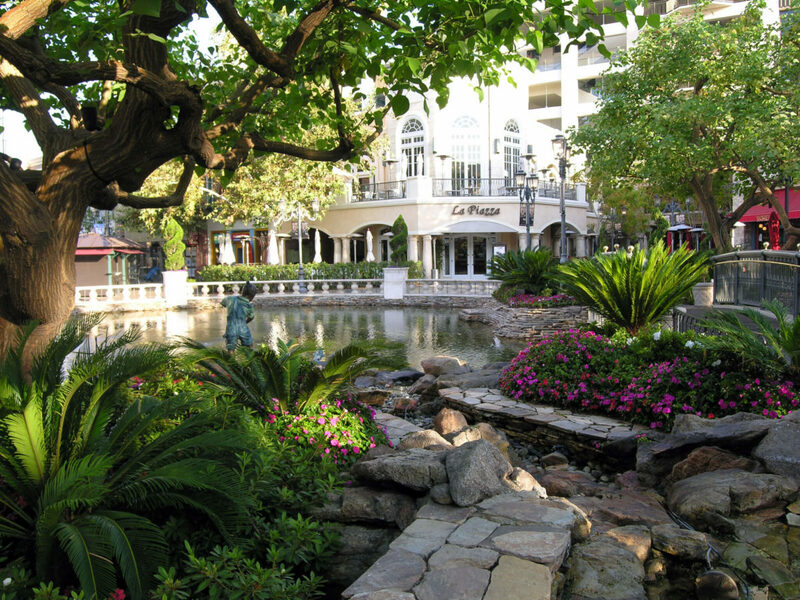 The Spirit of Los Angeles bronze statue of a male and a female angel soaring skyward sits as the centerpiece of The Grove. 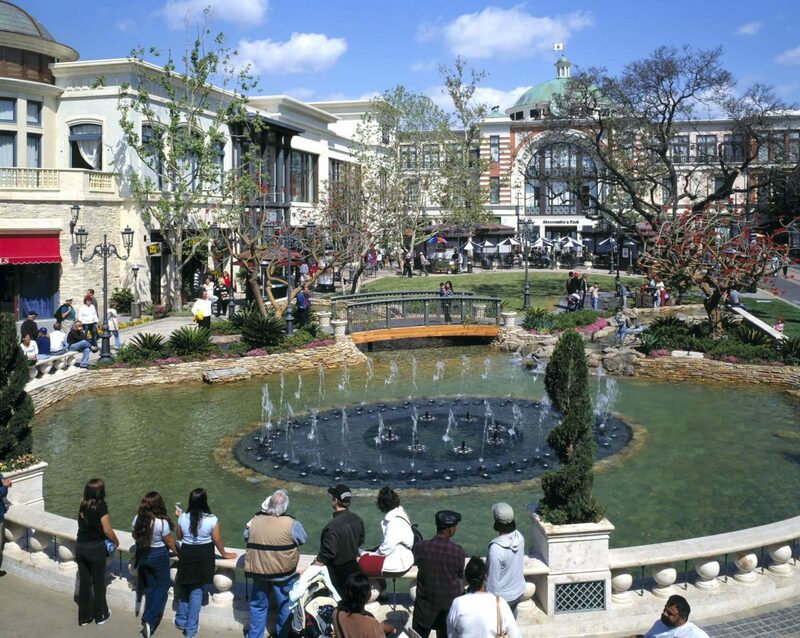 This iconic center successfully marries the atmosphere of a charming town center with a luxurious shopping resort.